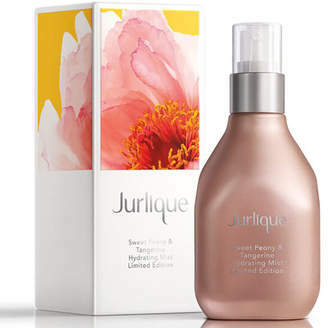 Celebrate the festive season with the limited edition Sweet Peony & Tangerine Hydrating Mist from Jurlique . Infused with an all-new Tangerine and potent natural based antioxidants, the refreshing helps improve skinâ€™s moisture levels as its uplifting scent of sweet botanicals refreshes the senses. Suitable for all skin types, the mist is enriched with a hand-picked botanical cocktail of Yarrow, Calendula, Rosemary, Lavender and Lemon Balm to leave skin feeling hydrated, soothed and balanced. Free from silicones, petrolatum, mineral oil, paraffin wax, parabens, GMOs and artificials.